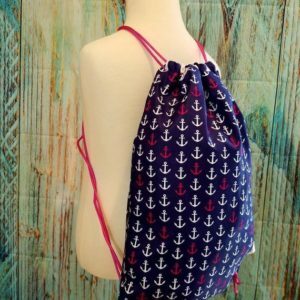 Kids will love this drawstring backpack for toting around toys and other little goodies. 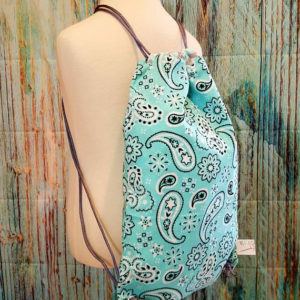 Backpack measures 15.5″ long and 10.5″ wide with a 1″ casing at the top. 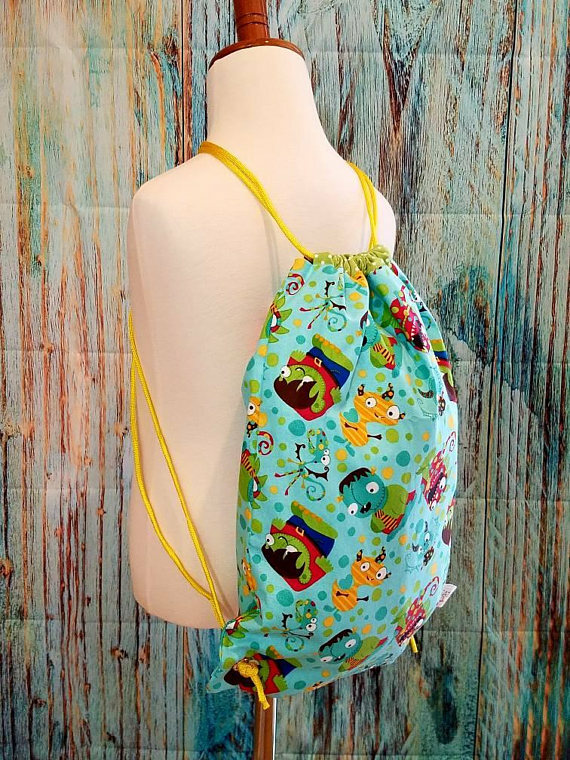 Backpack is fully lined with coordinating fabric. 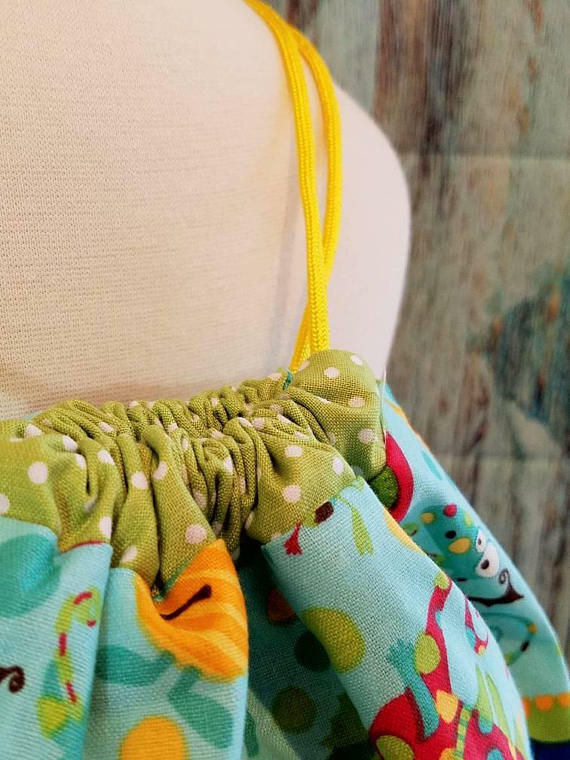 The two paracord drawstrings measure 68″ long held in by grommets. Ends of paracord have been melted to prevent fraying. 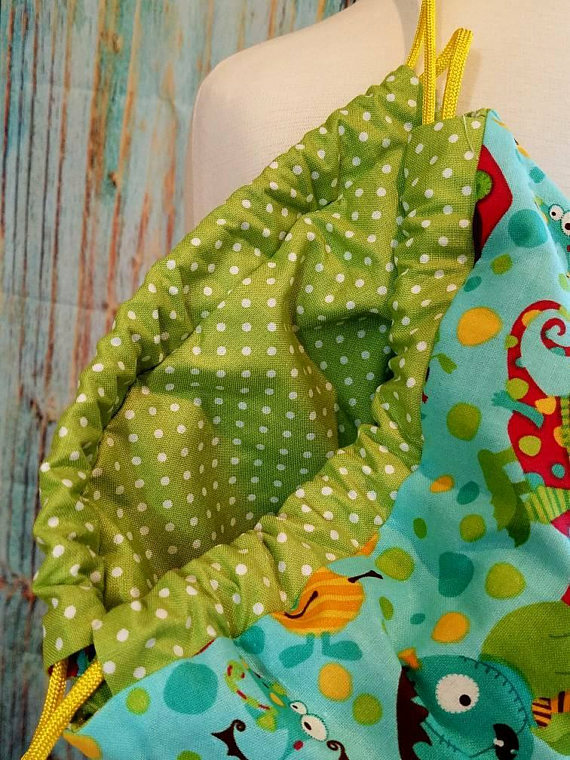 This backpack is machine washable. 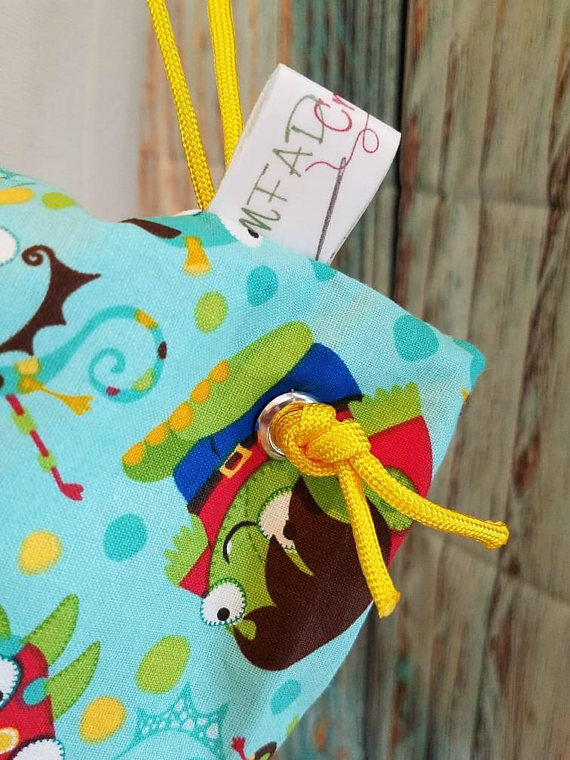 Thank you for shopping MFAD Creations!